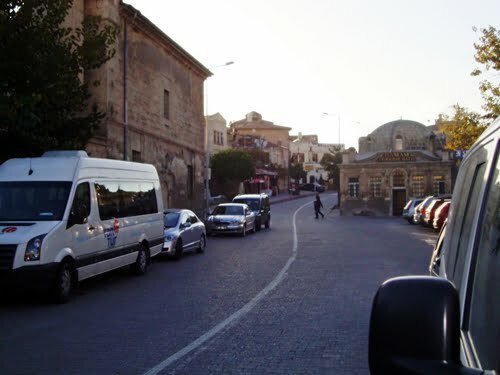 When I was searching for accommodation in Cappadocia, the choice was between Urgup and Goreme. I finally settled on the latter but still had to go to Urgup for the day to see why my good friend Brenda Farrell loved it so much and recommended it for accommodation. Both of them have their own unique vibes but within half an hour I had spotted the unique character of Urgup and why it attracts a different type of traveler. 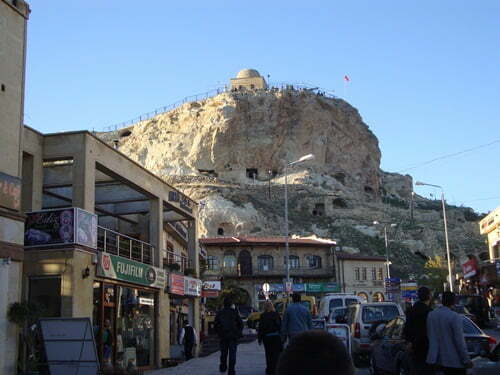 Goreme is more for backpackers, youngsters and those on a budget. The restaurants are cheaper and bars have western names such as The Flintstones Café and Fatboys. Urgup is a bit more upmarket. In the town square are cafes that remind you of a Mediterranean afternoon. People sit for hours drinking cappuccinos and gossiping with their friends while life goes on around them. 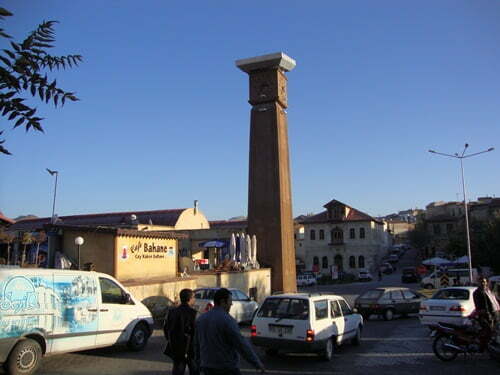 The shops in Urgup are a brand name with an organized disciplined look. I spent the afternoon wondering around Urgup and went up to the viewpoint at the top of the highest hill. This gives you a full 180 degree view over the town. There is a café at the top and if you are nostalgic, they have photos of Urgup going back over 70 years. 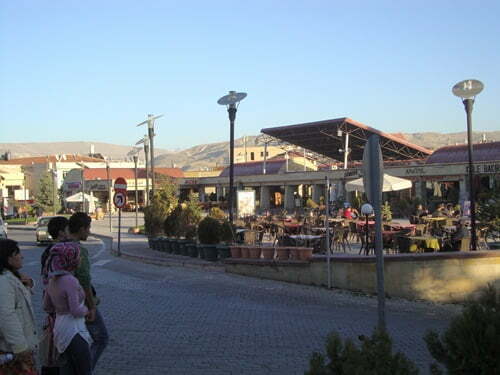 I also had my evening dinner in the town and want to recommend the best restaurant in Cappadocia. I ate out every evening while I was in Cappadocia but the meal served by The Han Ciragan Restaurant in Urgup was the best. It was not cheap however the price was reflected in the taste and atmosphere of the restaurant. If you are traveling on a budget, get fed up of eating cheap kebabs and want to blow your money, then that is the restaurant to head to. I was left with a good lasting impression of Urgup. 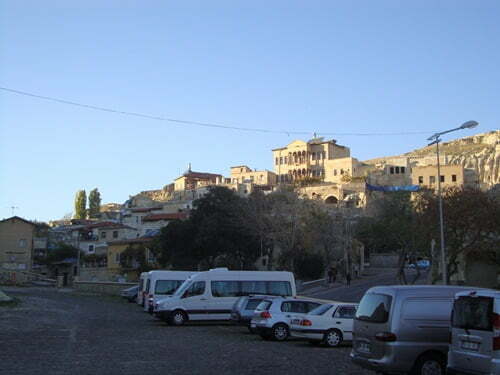 It is a place to consider if you are looking for accommodation in Cappadocia. I wouldn’t say it was better than Goreme as each of them have their own special character and vibes. Readers – If you are going to Cappadocia for a holiday, check out my other posts below on what to see and where to go. Goreme is one of the most beautiful places on earth! i had wanted to go for years and never got there until 3 years ago, one of lifes memorable experiences, the landscape, the architecture, the lifestyle and the people. i was married to a turkish man so have seen lots of corners the resorts dont cover. there are such gems scattered throught this wonderful country, its a true dicovery. Thanks for them Brenda. They will be great help to anyone that is looking to go. 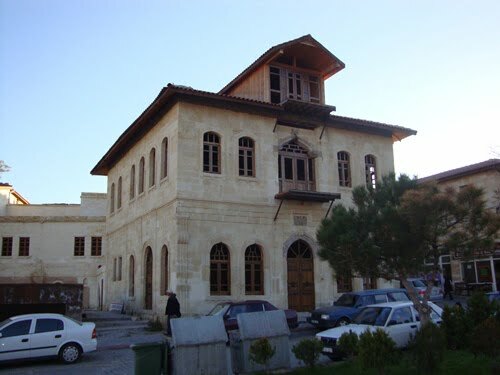 Hi again Natalie, here are some other websites of reputable and honorable tour operators in Cappadocia. Hi Greg, Phil and Di. Thanks for stopping by. 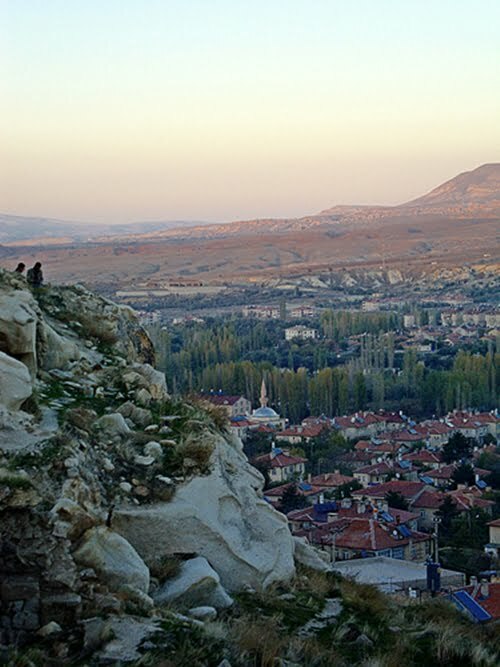 Urgup is a lovely place to visit if you ever make it to Cappadocia. i am always amazed when i see the cliff/hillside cave type structures in the background when seeing photos from this area of the world! Hi Brenda, Thanks for stopping by. Will have to look at the hotels you recommend in Goreme as I do plan to go back.